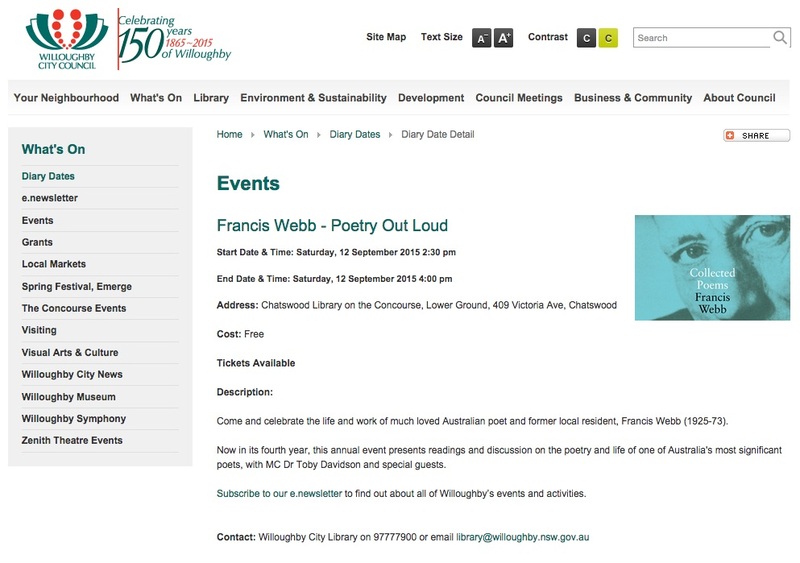 Hi all, this Saturday afternoon, if you live near Chatswood you might take yourselves off up to the Willoughby Library where there is a special commemorative event on the poet Francis Webb. I will be leading off the readings and discussions since I am the biographer of Francis Webb and have been asked to say a little about how I collected information about his life, especially from his sister Claudia. The biography God’s Fool: The Life and Poetry of Francis Webb was first published in 1991 by Harper Collins. It has recently (2012) been republished with updates as an ebook: God’s Fool: ebook. You can read this version on your Kindle, your computer or your iPad. You simply need to download the Kindle App onto your device. Francis Webb actually spent his teen-age years in Chatswood, living there with his Grandparents. He began to make a name for himself in poetry before he left school. It was after this that tragedy struck and he was diagnosed with Chronic Paranoid Schizophrenia having to spend much of his adult life in mental hospitals. 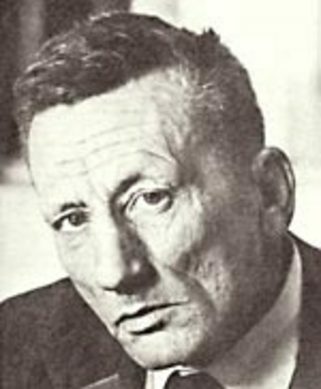 Despite this, he never stopped writing his poetry and he is considered now by some to be one of Australia’s greatest twentieth century poets. See you there? Tags: Francis Webb God's Fool: The Life and Poetry of Francis Webb Willoughby Library.